Known as the De La-Salle-Paaralang Santiago Zobel in Filipino, the DLSZ (for brevity) is a Catholic place for instruction situated in Muntinlupa, Metro Manila. Established in 1978 by the De La Salle Brothers, the school was opened to address the ever-increasing demand for places of elementary tutelage considering that there was a high influx of grade school students in the former De La Salle College (better known as De La Salle University in Manila). Before its run of being known as one of the most prestigious universities in the Philippines, the very first De La Salle School opened its doors to students on June 16, 1911. It was initially located on Calle Nozaleda in Paco, Manila at the request of the Archbishop of Manila, Jeremiah James Harty to the Brothers of the Christian Schools. One thing interesting to note is the close affinity the Archbishop had with the school as he was enrolled in the school’s US counterpart (DE La Salle Christian Brother-run schools) in his formative years (grade school to high school). By 1921, the school had moved to its present location on Taft Avenue and since then, the brothers have opened a series of schools all over the Philippines. Today, the brothers have since then opened a series of schools in various Philippine cities and provinces. There are now La Salle schools in Green Hills, Mandaluyong City; Antipolo, Rizal; Lipa City, Batangas; two schools in Bacolod (University of St. La Salle and St. Joseph School-La Salle); Iligan City, Lanao del Norte, De La Salle in Dasmariñas, Cavite and one in Alabang, Muntinlupa which is named after Ayala Zobel, De La Salle-Santiago Zobel School. The second campus, De La Salle Zobel Vermosa (DLSZ Vermosa) opened its doors to students last 2017 and is located in Imus, Cavite. De La Salle Santiago Zobel School (DLSZ for brevity) has forged its second partnership with Ayala Land that has resulted to its extension campus, the De La Salle Zobel Vermosa which is situated in Imus, Cavite. Ayala Land Incorporated has donated the land and has elected to fund the construction of the school building. Considered as the second campus of DLSZ, students can expect to receive the same competitive Lasallian tutelage and excellence in terms of education. Similarly, it provides the same holistic formation present in its other schools and campuses. DLSZ Vermosa promises to make Lasallian education more accessible to a greater population base. Similarly, it serves as an avenue for a good learning environment that would cultivate excellence, inspire curiosity as well as critical thinking. In DLSZ Vermosa, students are free to imagine and cultivate their interests whatever their passion may be. In here, they are free to pursue their talents and sharpen their skills regardless of whether they choose to be artists, athletes, musicians, community builders or innovator inventors. In DLSZ Vermosa, students are assured of quality instruction and education that would help them enrich their gifts. 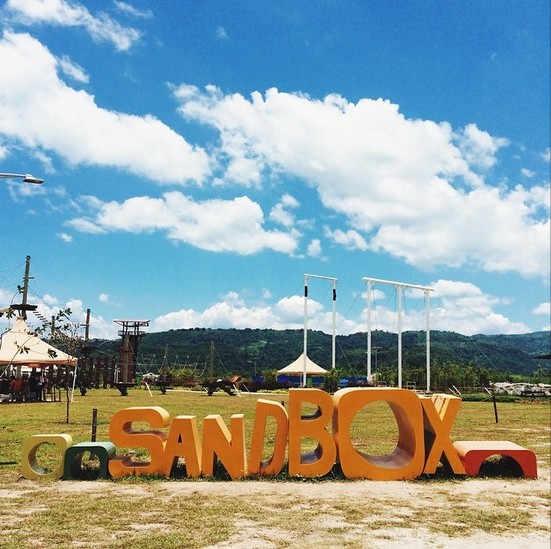 Indeed, the campus would serve as a learning space that can ignite the spark of potential in young learners. Similarly, it would also help students reach their optimum potential which would later on aid them in becoming the catalysts for the transformation of our society. Vermosa, where De La Salle Zobel’s second campus is currently located, is a sprawling 700-hectare estate. The residential complex is masterfully planned and executed to offer a wide range of residential and retail selections making it a premier residential option. The real estate development currently features a central business district, a hotel, institutional developments such as DLSZ Vermosa and entertainment areas that are seamlessly integrated by generous open spaces that foster social convergence and interactions. As a result, residents would not only be living optimally but would be able to cultivate neighborly relationships. 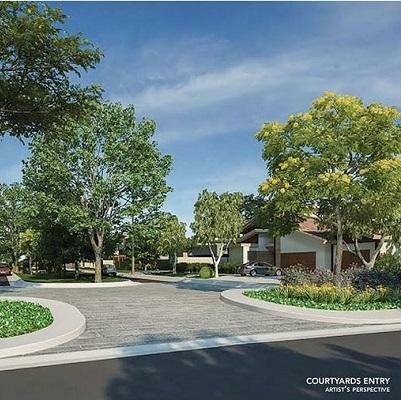 Vermosa sets the benchmark of residential living higher by redefining suburban living. The commonly regarded future city will showcase Vermosa Sports and Lifestyle Complex which will house world-class sports facilities including an Olympic-sized pool, oval track, bike skills trail, motocross track, and the country’s first Sports Science Laboratory—all of which would make DLSZ Vermosa an ideal place for instruction. DLSZ-Vermosa Campus is projected to set a trailblazing standard in terms of Philippine tutelage with its integration of technology-supported learning in educational instruction. In keeping up with its vision, DLSZ-Vermosa promises to provide world-class, learner-centered environment to its students which would resultantly produce lifelong learners who are creative and reflective as well as critical thinkers and problem-solvers in a transformative and innovative environment. More importantly, the campus promotes green architecture through its structural designs as well as its green architecture. Through its existing student programs in whatever field of academics, science, and technology, sports, arts and music, DLSZ Vermosa promises to uphold a dynamic learning community. Most of the programs in the campus are designed to inspire curiosity and cultivate holistic learning as well as promote the attainment of the developmental one. 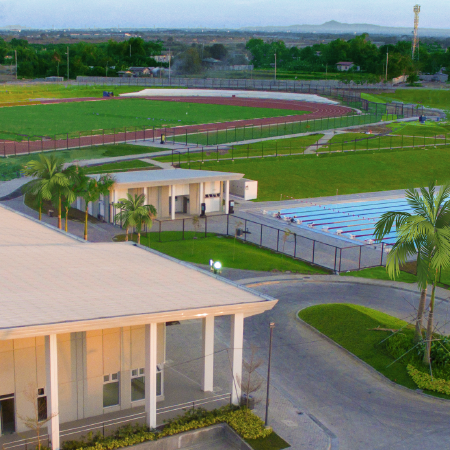 Parents who wish to the athletic skills of their children will appreciate DLSZ Vermosa’s utilization of the Vermosa Sports and Lifestyle Complex which would primarily serve as the training facility to DLSZ’s athletes who would go on to represent the Philippines in both local and international competitions. On the surface, with De La Salle Zobel’s tuition fee, it might seem like Lasallian education is something only students from affluent families can afford or would only be accessible to scholarship students. However, the integration of a De La Salle campus in Vermosa furthers the DLSZ vision in ensuring that Lasallian education would be made more accessible to a majority of students in southern Mega Manila. More importantly, to full transition to the recent implementation of the K to 12 program, DLSZ Vermosa would offer different tracks and strands for its Senior High School program. DLSZ Vermosa is a member of De La Salle Philippines, a new district-wide network of 16 Lasallian schools in the country. The school is known for producing some of the illustrious names in the Philippines today. Similarly, the school has a track record of producing outstanding Lasallian students who are responsible citizens in the service of country and church. DLSZ is an academic community that aims to foster not only the academic excellence of an individual but the spiritual and moral maturity of their students as well. As a sectarian school, DLSZ promises to rear children in accordance with the scriptures and teachings of Christ as found in the gospel. Much like any Lasallian school, the DLSZ Vermosa Campus aims to be the center of excellence for teacher training in blended learning. In this regard, the school has opened their doors to share the best practices of the latest innovations and trends when it comes to educational strategies as well as research. With its pioneering implementation of the Next Generation Blended Program, the DLSZ Vermosa will set a trailblazing standard and would serve as a model for Philippine basic education. In the comprehensive Master Development Plan, the new DLSZ-Vermosa campus will have three (3) primary zones: The Academic Zone, the Sports Zone, and the Cultural Zone. Vehicular, pedestrian and common landscaped paths will border each zone. 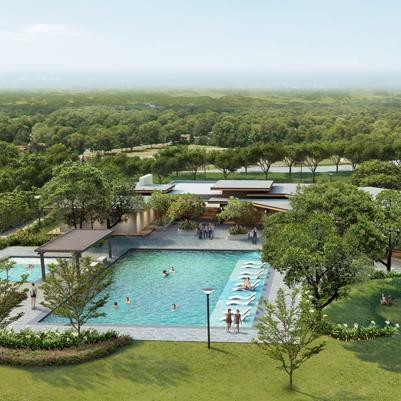 A unique feature of the estate will be the Vermosa Sports and Lifestyle Complex that will have an Olympic-size swimming pool, oval track, motocross track, bike trail, and the Philippines’ first Sports Science Laboratory that can serve as a training facility to DLSZ’s athletes. The DLSZ-Vermosa Campus has opened its doors since 2017. Vermosa, Daang Hari Road cor.